Standard Work is a powerful lean tool which enables the efficient operation of the final assembly processes at Ei Electronics. At a basic level Standard Work outlines the current best known method (or standard) for each step of the production process. This new ‘Standard’, forms a baseline for the process from which all future Kaizen or Continuous Improvement activities are measured. Once improvements are made the new standard becomes the baseline for further improvements and so on, continuing an endless cycle of improvement. How Standard Work has evolved and developed over the years. Success stories and difficulties encountered using Standard Work. Ei Electronics is an acknowledged global leader in the design and manufacture of Fire and Carbon Monoxide detection products for the residential sector. Employing over 800 people, the company is headquartered in Shannon occupying a 23,000m2 campus, where all key R&D, Manufacturing and Commercial functions are located. 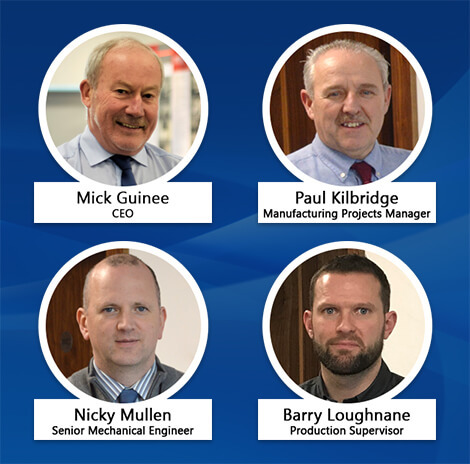 An exemplar successful indigenous Irish manufacturer, overseas sales and marketing subsidiaries are located in the UK, Germany, France, Poland and the USA. Further sales are facilitated through an extensive network of distributors worldwide, serving 30 export markets.